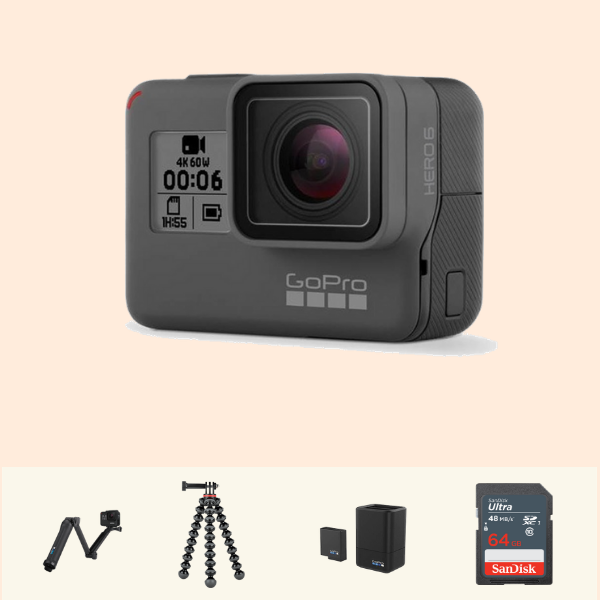 GoPro Hero 6 Black is available for rent. We offer a wide range of Go Pro & Mounts for Rent in Delhi NCR. Rent a Go Pro for your next adventurous trip and explore the world of 4K Video. We also offer a wide range of Go Pro Mounts for rent like Selfie Stick, Gimbals, Karma Grip, Helmet Mount, Bike Mount, Arm Mount, Wrist Mount, Chest Mount & many more for Go Pro 4 & 5.